Home to young families and professionals, the Secord neighbourhood in West Edmonton is one of the most sought-after communities in the city. Secord has been planned out to integrate single and multi-family housing with the natural forests, creating a walkable community. The vision of Everest Development Group for Secord Crossing is a community-oriented Commercial/Business hub, together with affordable and livable multi-family units. 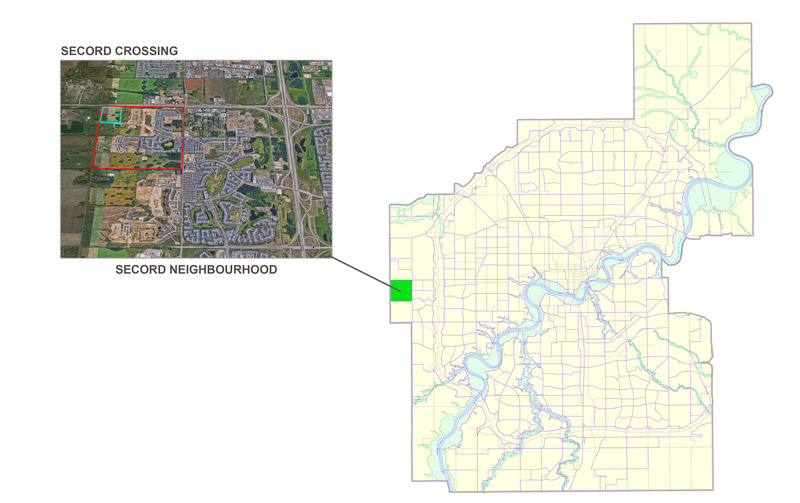 The Secord Crossing development is approximately 33.12 acres of Commercial/Business and Multi-family residential in the north-west corner of the Secord Neighbourhood. Bordering 104 Avenue (Highway 16A) to the north and 231 Street (City of Edmonton corporate limits) to the west, this prime location boasts excellent exposure and access.